Sitting at a big desk all day can make you want to get out and enjoy a bit of nature. For some, that includes the green grass of a golf course. Sadly, working 9-5 means you hardly get to see it in the daylight. However, you can always practice your swing at work. The Executive Golf Mug is for those professionals who need happy little reminders that the grass is greener on the other side, and will be waiting for them once they clock out. It’s also a good gift for anyone who loves golf. 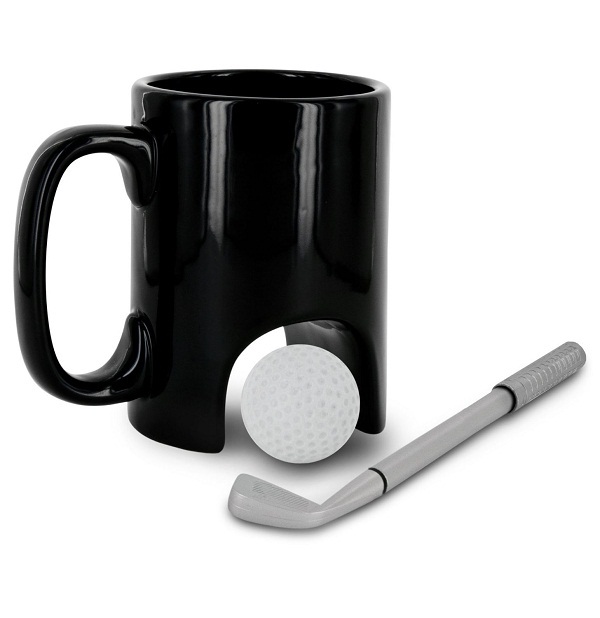 This little set will give you a mug, miniature golf ball, and golf club shaped pen. The bottom section of the mug has a hole through which you can practice your putt all you like. This will cost you around $10, and would be a cute present or conversation starter for your desk.